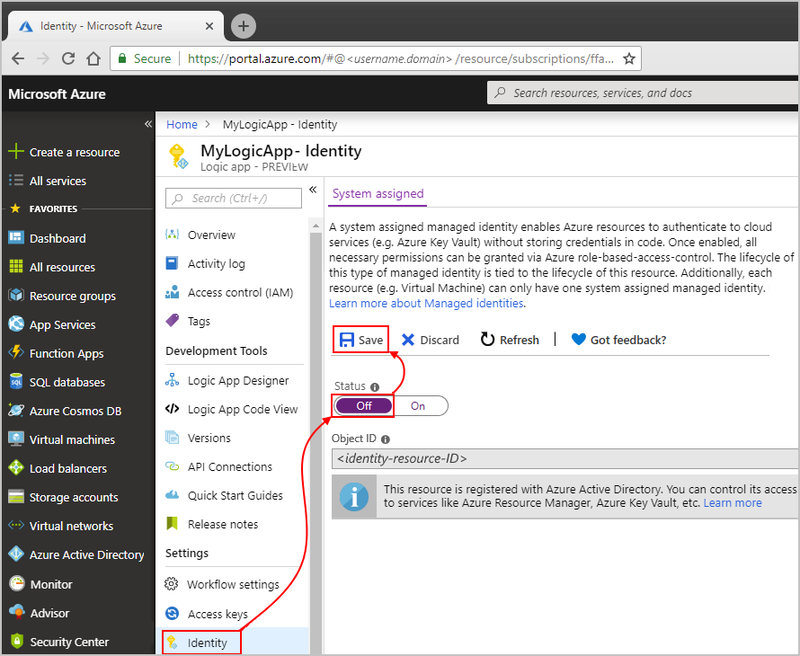 To access resources in other Azure Active Directory (Azure AD) tenants and authenticate your identity without signing in, your logic app can use a managed identity (formerly known as Managed Service Identity or MSI), rather than credentials or secrets. Azure manages this identity for you and helps secure your credentials because you don't have to provide or rotate secrets. This article shows how you can set up and use a system-assigned managed identity for your logic app. For more information about managed identities, see What is managed identities for Azure resources? Your logic app can use managed identities only with connectors that support managed identities. Currently, only the HTTP connector supports managed identities. You can currently have up to 10 logic app workflows with system-assigned managed identities in each Azure subscription. An Azure subscription, or if you don't have a subscription, sign up for a free Azure account. The logic app where you want to use the system-assigned managed identity. If you don't have a logic app, see Create your first logic app workflow. 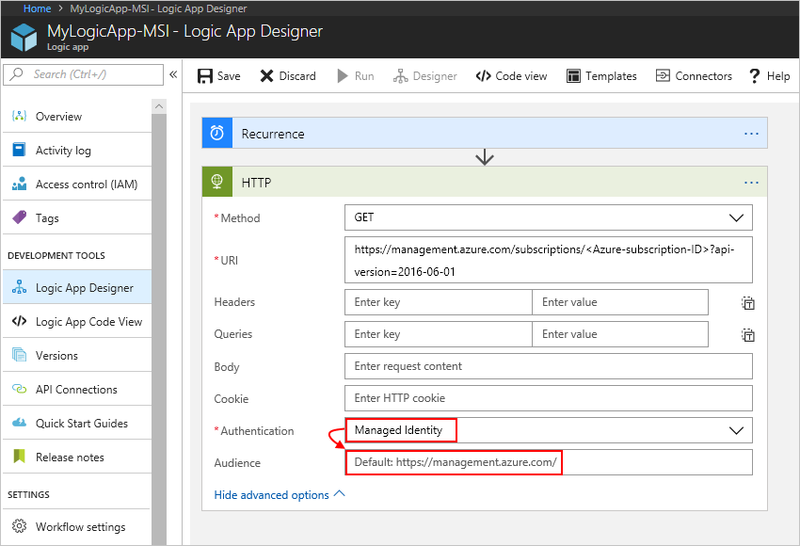 To enable a system-assigned managed identity for your logic app through the Azure portal, turn on the System assigned setting in your logic app's identity settings. In the Azure portal, open your logic app in Logic App Designer. On the logic app menu, under Settings, select Identity. Under System assigned > Status, choose On. Then, choose Save > Yes. tenantId <Azure-AD-tenant-ID> A Globally Unique Identifier (GUID) that represents the Azure AD tenant where the logic app is now a member. Inside the Azure AD tenant, the service principal has the same name as the logic app instance. After you create a system-assigned managed identity for your logic app, you can give that identity access to other Azure resources. You can then use that identity for authentication, just like any other service principal. Both the system-assigned managed identity and the resource where you want to assign access must have the same Azure subscription. 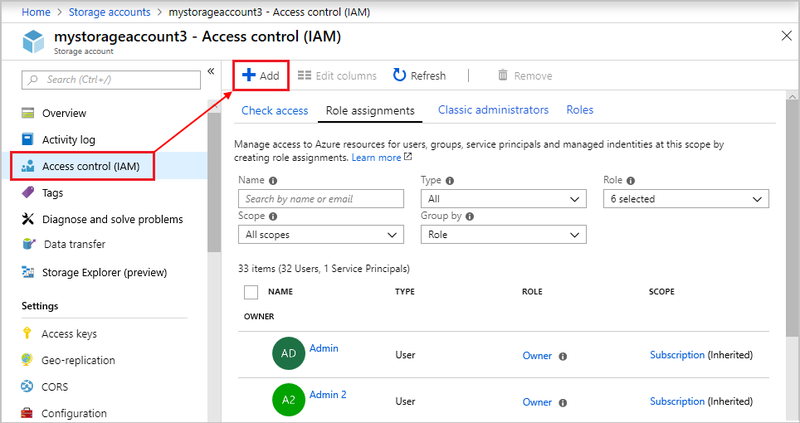 In the Azure portal, go to the Azure resource where you want to assign access for your managed identity. From the resource's menu, select Access control (IAM), and choose Add role assignment. Under Add role assignment, select the Role you want for the identity. In the Assign access to property, select Azure AD user, group, or service principal, if not already selected. In the Select box, starting with the first character in your logic app's name, enter your logic app's name. When your logic app appears, select the logic app. When you're done, choose Save. 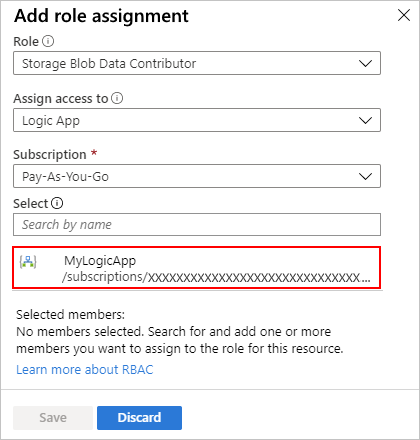 After you set up your logic app with a system-assigned managed identity and assigned access to the resource you want for that identity, you can now use that identity for authentication. For example, you can use an HTTP action so your logic app can send an HTTP request or call to that resource. In your logic app, add the HTTP action. Provide the necessary details for that action, such as the request Method and URI location for the resource you want to call. In the HTTP action, choose Show advanced options. In the Audience property, the resource ID value must exactly match what Azure AD expects, including any required trailing slashes. You can find these resource ID values in this table describing Azure services that support Azure AD. For example, if you're using the Azure Resoruce Manager resource ID, make sure the URI has a trailing slash. Continue building the logic app the way you want. To disable a system-assigned managed identity on your logic app, you can follow the steps similar to how you set up the identity through the Azure portal, Azure Resource Manager deployment templates, or Azure PowerShell. When you delete your logic app, Azure automatically removes your logic app's system-assigned identity from Azure AD. To remove a system-assigned managed identity for your logic app through the Azure portal, turn off the System assigned setting in your logic app's identity settings. Under System assigned > Status, choose Off. Then, choose Save > Yes. If you created the logic app's system-assigned managed identity with an Azure Resource Manager deployment template, set the "identity" element's "type" property to "None". This action also deletes the principal ID from Azure AD. For questions, visit the Azure Logic Apps forum. To submit or vote on feature ideas, visit the Logic Apps user feedback site.